Engraved bricks are a staple when it comes to promoting donations to many different locations and organizations. Everything from museums to schools, to hospitals, are decorated with many bricks with names engraved on them. Now, most may dismiss these as just the same standard kind of brick that one may see in the construction of any random brick house, but that is not the case. These bricks are specially chosen, cut and sandblasted to bear a significant name and message that someone wants everyone to see. With this being the case one should have the opportunity to pick the brick they view as the ideal choice to do this. Now where most companies just offer a variety of colors and sizes, we offer something a little different, clay. With another brick material on the table, you may ask yourself “Which do I go with?”. Well, we are here to give you the details on both kinds, concrete, and clay. 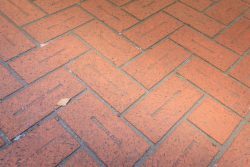 Whether they are festooning the walls of an office building or covering the walkway leading to a school, your bricks may be located in very unforgiving environments. It is for this reason that you want to be assured that their donation recognition will be able to stand the test of time and the elements. 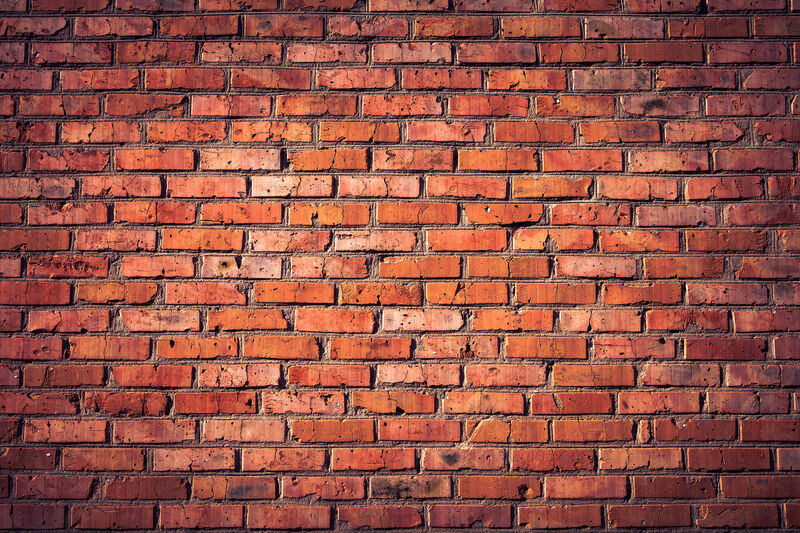 Brick strength– Comparably clay bricks have a compressive strength two and a half to three times stronger to three times higher than concrete bricks. 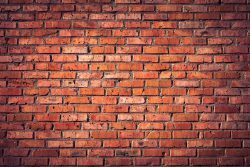 Meaning clay bricks can withstand eight to twelve thousand pounds while concrete generally can only face three to four thousand pounds. Elements– Most concrete bricks are two to three times more absorbent than their clay counterparts. In the same vein, concrete also absorbs more heat than clay; indicating concrete bricks are more susceptible to heat and water damage. Selection and Variety– Both of the ranges of clay and concrete bricks we offer come in a great variety, but there are just more options when concrete is concerned. Though we provide different brick types such as souvenir in clay, concrete has more colors and sizes at the ready. This is really a matter of preference and location. If they are going to be situated indoors, away from the elements, then you have the options of going with either without too much worry. 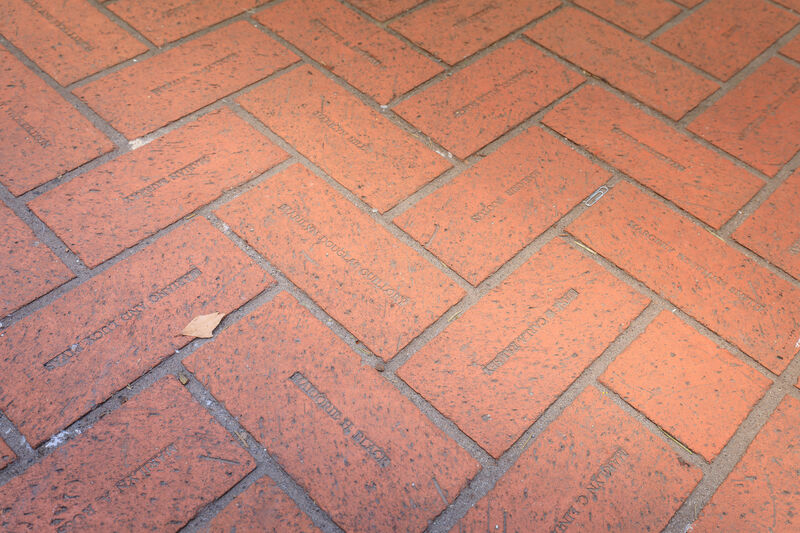 If the brick is on a walkway, then you may wish to consider clay. But you may have your sights set on a specific color, in that case, a concrete brick may fit seeing as we have a more significant selection. All of our products come with a lifetime guarantee. We are able to offer this guarantee because of our years of experience, our state of the art manufacturing equipment and our highly trained staff. In fact, in over 29 years that we have been in business, we have never had to replace a brick due to cracking or any degradation to the engraving. If for any reason you are not satisfied with your Bricks R Us product, we will gladly replace it at no charge. Our goal is to make sure our customers are 100% satisfied.